Posted by Ada Wang on 11/20/2018 11:37:31 AM. AZW3 format is Amazon KF8 eBook file which build number is 8. It has been released at 2011 when the Kindle fire was launched for the first time. 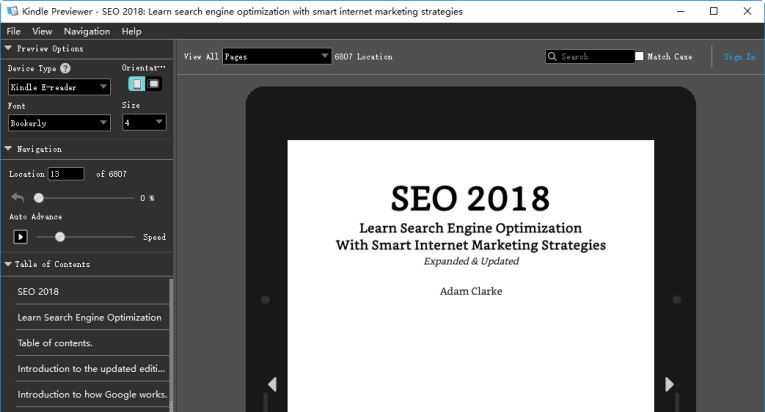 As the Amazon's successor to AZW format, it not only supports most of the HTML5 and CSS3 but also improves the eBook's formatting capabilities. Since it is the exclusive format of Amazon, AZW3 file can only be read on Amazon related devices and softwares. If you don't have a Kindle device, how can you read your azw3 books? Are there any free azw3 readers that you can download to open azw3 format ebook? Sure, there it is! This is also what I want to share in today's content. I am going to share the best 4 azw3 readers for windows and mac with you. One important thing to be mentioned is that almost Kindle AZW3 files are protected by Kindle DRM. If you want to read Kindle AZW3 file with readers beyond the Kindle related softwares, you have to remove the Kindle DRM at first with Epubor Ultimate. As the Amazon Kindle official reading app, the Kindle for PC/MAC supports all Amazon Kindle formats. So there is no surprise that it is on the top at my list. Firstly, please download Kindle for PC/ Mac . As the image shows, you can enter your mail or phone number to receive the download link of this azw3 reader. Then run it on your computer, sign in with your own amazon account. In the library you will see all your files. Double click the book cover to start downloading the ebook. You can check whether these ebooks are azw3 format or not on your computer "My Kindle Content" folder. Once the book has been downloaded, you can click the book cover and start reading. Kindle for PC/Mac is just used for readers to read and manage books on computer. But this azw3 reader( Kindle Previewer) is a little bit different. Although we can only download it to Windows/ Mac, it helps us emulates how books display on Kindle devices and Kindle apps. So the authors, publishers and eBooks service providers will choose to use Kindle Previewer to preview their books before publish their eBooks. So we could even say that the Kindle for PC/MAC is designed for eBooks readers, while the kindle previewer is made for eBooks publishers. Open the AZW3 ebooks to review. You can also set the layout depending on the devices you are using. Calibre, as a good ebook management tool, is not only a free and useful ebook converter, but also a perfect ebook reader. It supports nearly all the major e-book formats, including azw3 files. Since the Calibre only can open DRM-free eBooks, you have to strip the Kindle DRM before adding the AZW3 file to Calibre. You can download the Epubor Ultimate mentioned at the beginning of this article to decrypt your AZW3 files. Once DRM-free AZW3 ebook has been added to Calibre, you can double click the cover to start reading. But according to some forums, there are many people complain that they have met problems while reading azw3 books on calibre. Q: My Calibre could open my mobi version files but not the azw3 version? A: Calibre's viewer supports 22 input formats ebooks, but only EPUB, FB2, HTML, LIT, LRF, MOBI, PDB, PRC and RB formats are opened in the calibre internal viewer. 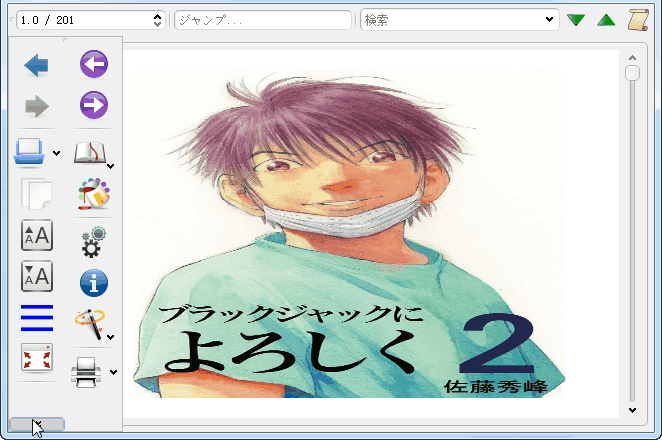 So for another format such as AZW3, it will automatically view book files with an external viewer. Preferences -> Behavior -> and select the formats you want in the right column, you can add azw3 format to view in calibre. Q: Calibre couldn't open my books? A: In fact Calibre viewer could only support books with non-DRM. So please remove the DRM from azw3 file at first, then you can view it with calibre. Here is also a shareware Epubor WordMate, as a MS Word plugin, Epubor WordMate allows you to create eBooks from Microsoft Word documents and read ebooks with Microsoft Word. What's more, it enables you to read and edit epub, mobi, azw, azw3, pdf, txt, HTMLZ, TPZ, PRC eBooks in Word. So if you have multiple formats of eBooks, you really should try this software. As eBook reader, it is totally free. Since this is MS Word plugin, so you have to ensure you have Microsoft Word installed on your computer. Then download Epubor WordMate here. It is a very tiny plugin which is 2MB. Please do not run you Microsoft Word during the installation. Once Epubor WordMate has been installed successfully, please run the Microsoft Word and you will see WordMate shows at the toolbar of the Microsoft Word as the following picture. Just click on "WordMate" Tab, you will go to the Wordmate interface. Click on "Import" button and select the AZW3 file you want to read to add. The book will begin to import this this MS Word document. Once the AZW3 file has been impored, you not only can read it, but also can edit it if you want to! What a special design! As Calibre, Epubor WordMate only support DRM free eBooks. So please ensure the book you want to read is decrypted. These are best 4 free AZW3 ebook readers I want to share today. But they can only be downloaded and installed on computer. All of them have pros and cons. But there's one powerful software can solve all the problems at once. That is Epubor Ultimate which allows you to strip DRM from all mainstream book stores except Apple ebooks and convert their formats so that you can read azw3 book or other formats books anywhere you want. Trust me this tool can meet all of your demands(except Apple ebooks). Want to know how to strip DRM from ebooks and convert their eBooks with Epubor Ultimate? Here's the tutorial of Epubor Ultimate. Just want to transfer azw3 files to Kindle app? Click how to transfer books to ipad kindle app for a refer.